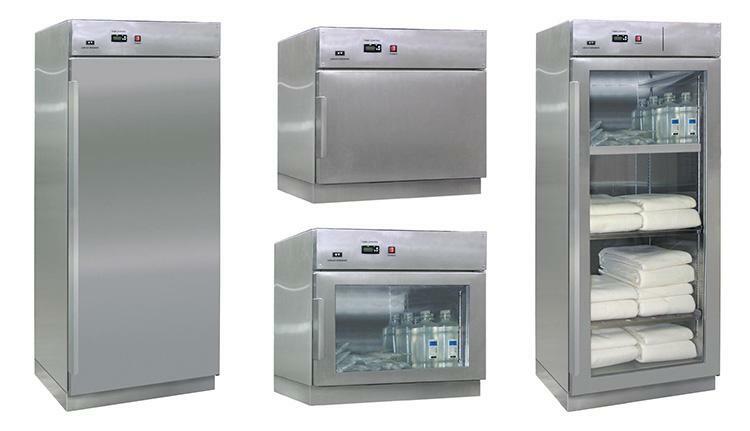 Our warming cabinets are designed and manufactured to maintain ideal clinical temperatures for solution bags, solution bottles and blankets. Our blanket warmer cabinets are ETL Listed for US and Canada. Come in free standing, in-wall and counter top designs. Double wall #304 stainless steel construction with #4 finish. There are power and temperature controls for individual compartments for each of blanket warmer cabinets.